At the root of LBRY is that emergent, beautiful mesh of communication: Peer-to-peer. Jamie King has been a leading thinker and filmmaker in the P2P movement, having covered the relationship between intellectual property and P2P distribution since the debut of his feature film Steal This Film and subsequent podcast, STEAL THIS SHOW presented by Torrent Freak. 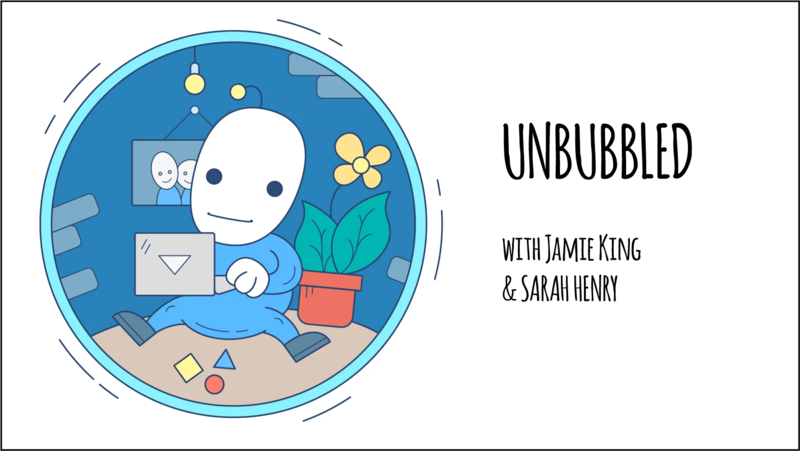 The first of two new shows are coming exclusively LBRY to expand the tradition: Unbubbled with Jamie King and Sarah Henry. The pilot episode features Emin Gun Siren, renowned crypto-currency researcher and Cornell professor, and his anti-bitcoin counterpart David Gerard, the author of Attack of the 50 Foot Blockchain available on Amazon. Is bitcoin a boom, bust, or something else entirely? And coming November 2017 is STEAL THIS SIDESHOW, a bi-weekly video podcast of the best asides from Jamie King's STEAL THIS SHOW presented by TorrentFreak. Please support your favorite creators by tipping LBRY credits in-app. For nearly a decade, Reilly has developed, produced, championed and contributed to dozens of film projects big and small. The only thing that rivals his love of film is the marriage between content and blockchain. If you come from the world of film, television or web content, he's your sherpa on Mount Blockchain. Reilly's work has been seen from Oxford, Mississippi to Sundance Film Festival, and he has produced content for Fox Digital Studios and Disney LOL.